Christmas begins with the Starbucks year ending treat. The kid in me is always looking forward to what christmas drinks they are about to offer. 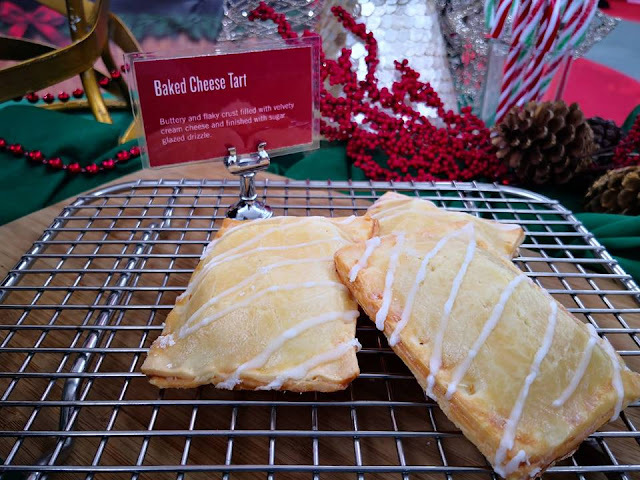 The aroma alone reminds me of childhood with my kids, parents and siblings. 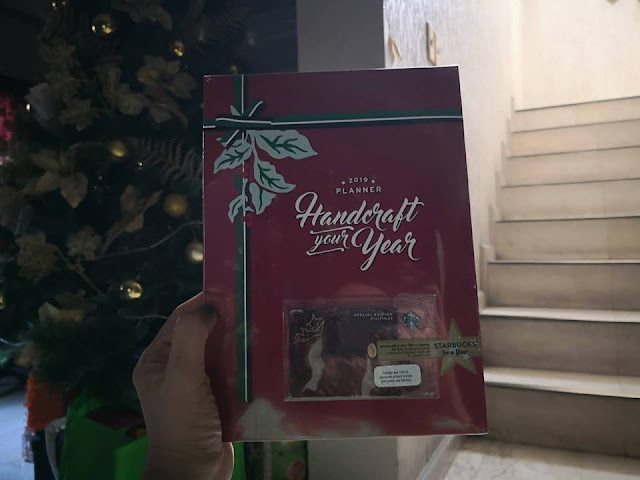 And what is christmas without their much awaited planner? 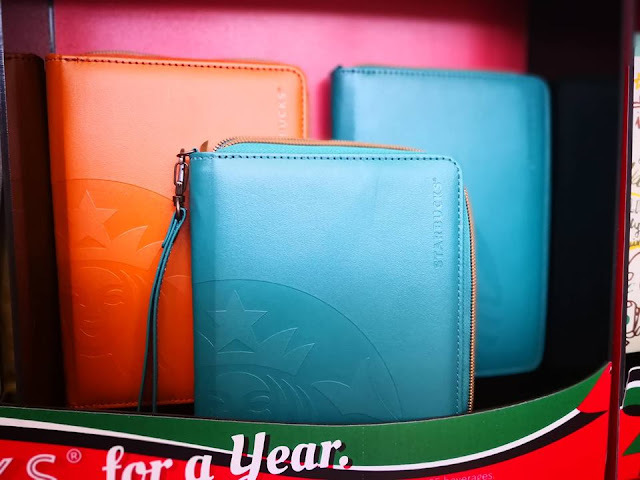 they match it up with a travel organizer. 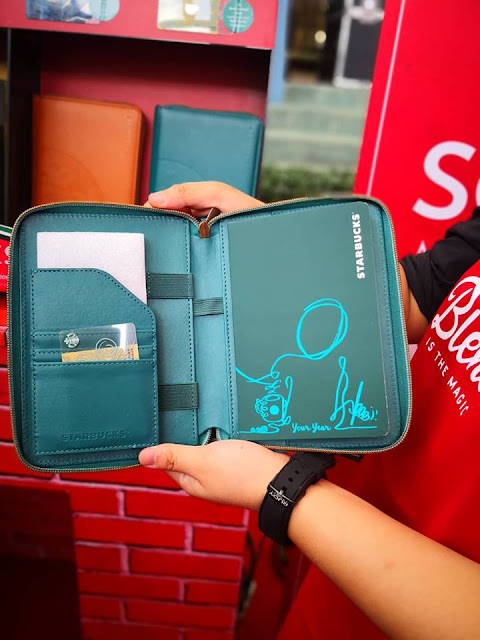 That you can bring with you everywhere you go to document/scribble your trips in and out of the country. 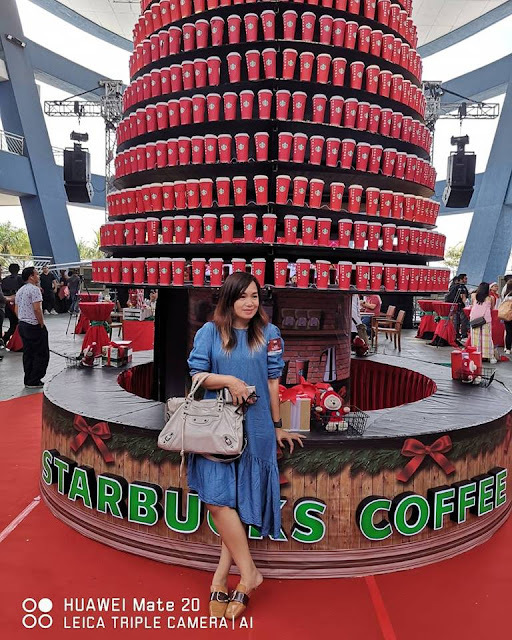 Its always a delight spending and feeling christmassy with Starbucks all over again as they celebrate the holidays in style and traditions with their newest beverage and food offerings. 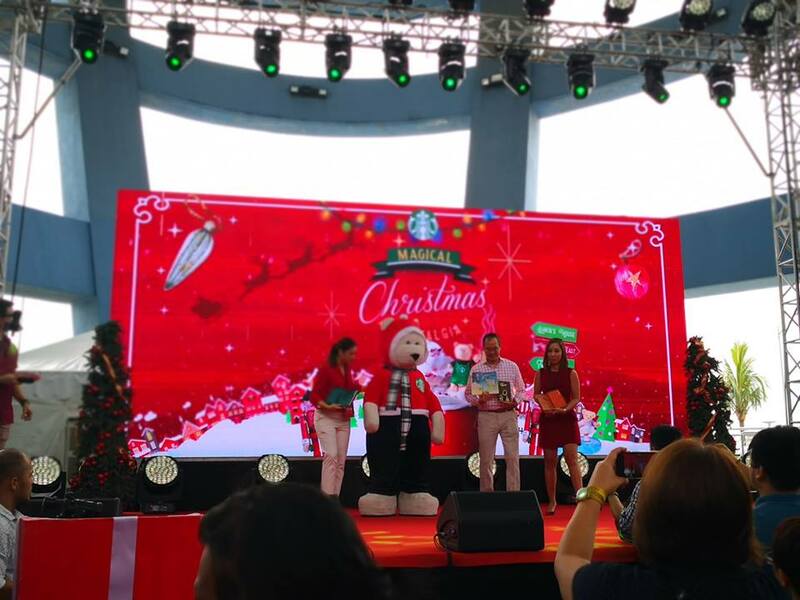 This time around they celebrate the magic of the christmas season with nostalgic traditions at the SM Moa Music Hall last Oct. 27. 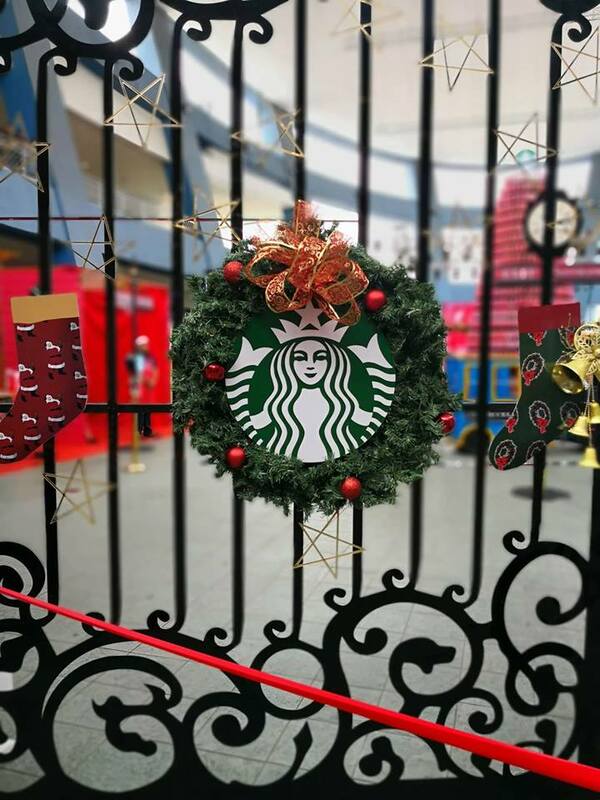 Every year, we celebrate the most wonderful time of the year with our own unique traditions that complete our holiday experience – singing carols and playing Christmas tunes, decorating our homes with the brightest lights and the biggest trees, just to name a few. These traditions spent with loved ones become our most cherished memories and heighten our anticipation for the season. 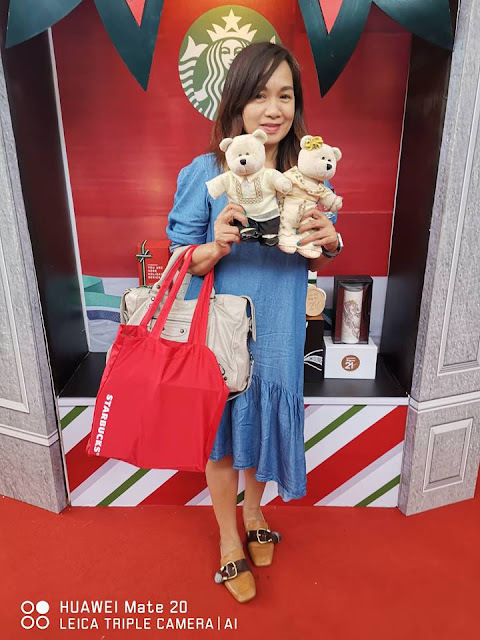 At Starbucks, welcoming the season with delicious beverages that deliver the holiday cheer in each sip has become the tradition. But beyond these cozy cups, it brews something even more heartwarming. 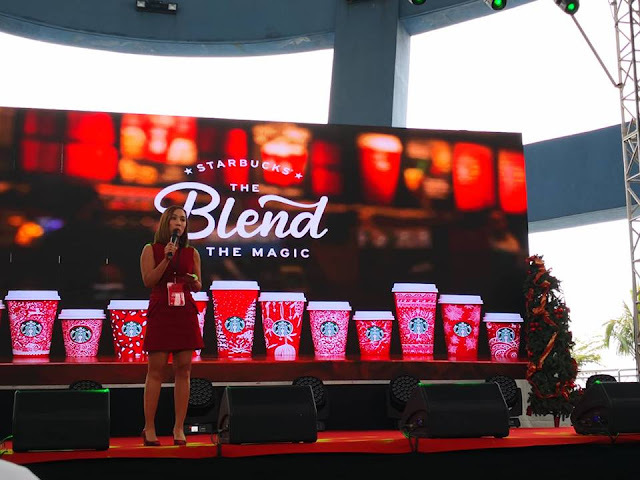 This year at Starbucks, the blend is the magic - it’s where all the things we love about the season come together to make our Christmas experiences extra special. 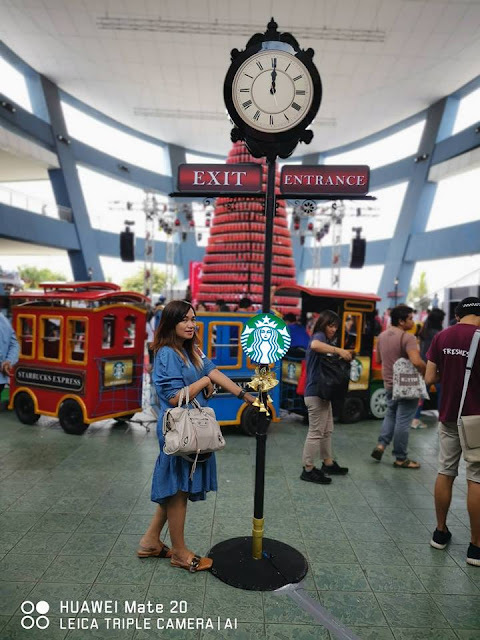 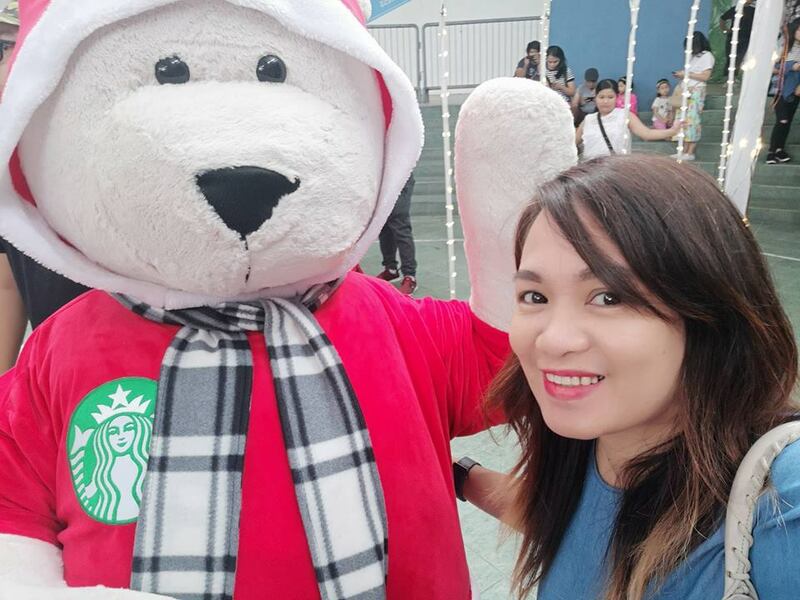 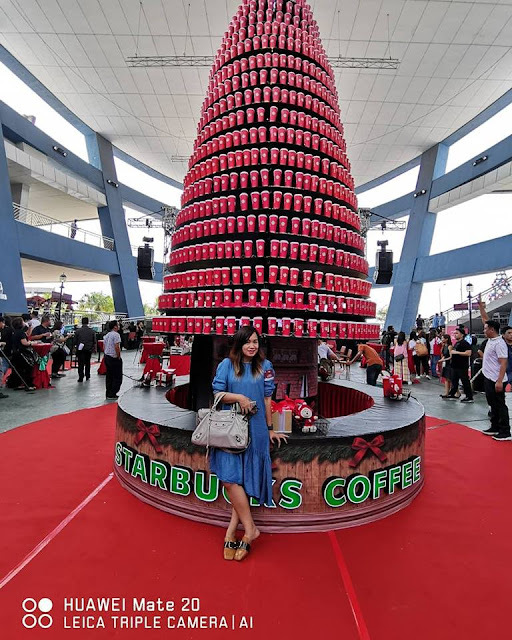 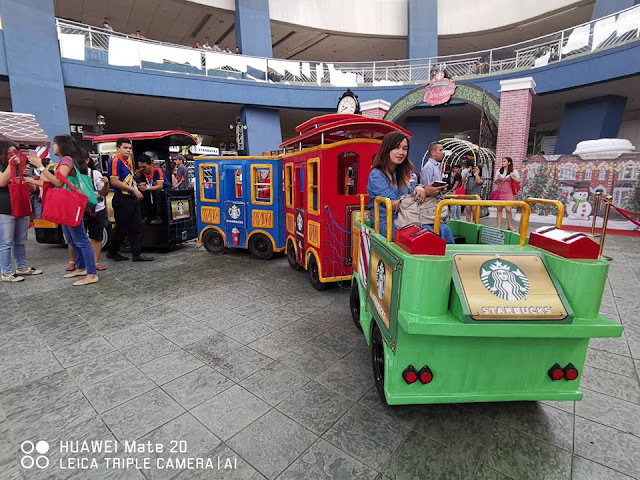 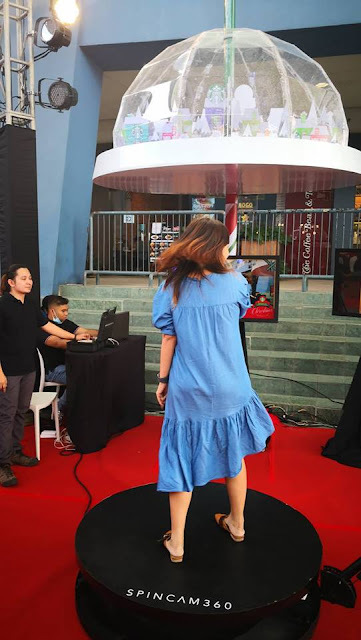 Starbucks hosted a grand Christmas launch with a magical blend of nostalgic traditions, merry activities, and festive food at the SM Mall of Asia Music Hall. 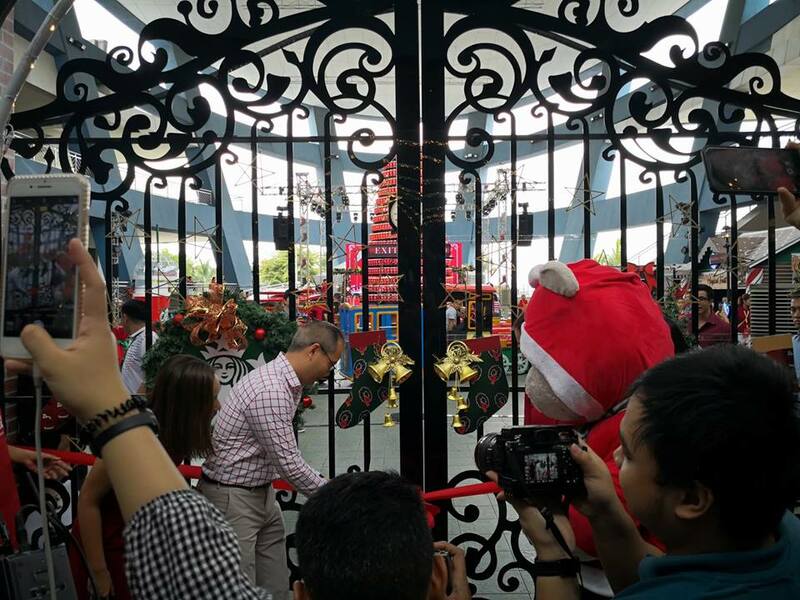 Two giant nutcrackers stood at the lighted entrance of the enchanting Christmas world and as guests stepped into the village, they were welcomed by a massive Christmas tree made with Red Cups and adorable Starbucks Bearista Bears, as well as a Starbucks Express train that circled around the Christmas village. 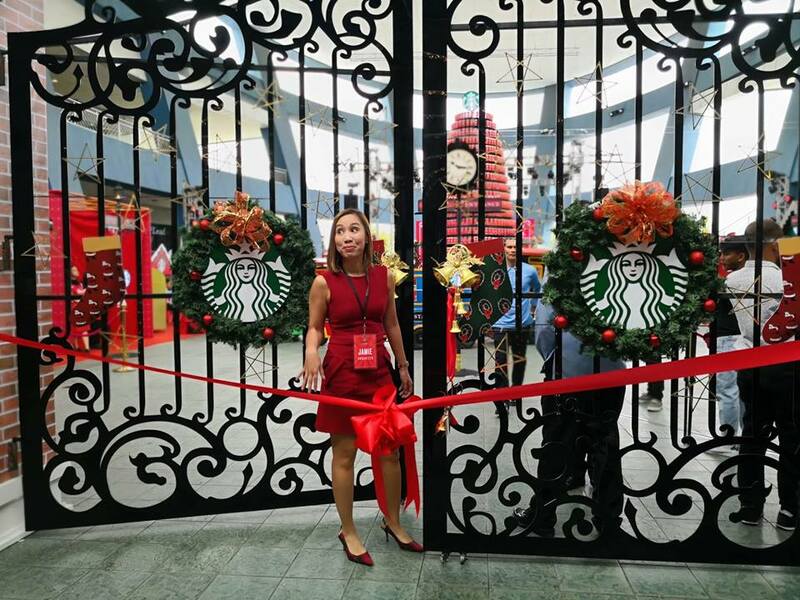 Guests further exploring the village discovered that it was brimming with exciting stations including a charming gingerbread house where they tasted the latest Starbucks offerings and saw the newest Christmas merchandise on display. There was also a larger-than-life Red Cup installation where guests scribbled their pledges to spread cheer and goodwill for the holidays. 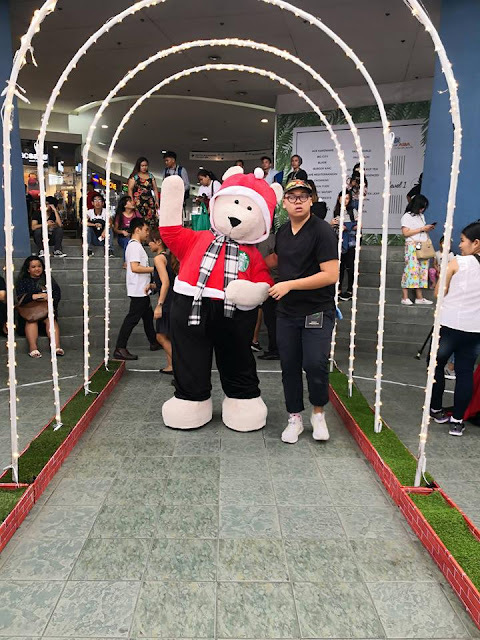 To capture their magical holiday memories, there was a cool Snow Globe 360º photo booth that had a magical virtual snow effect. Cheer and laughter were in the air as guests participated in the fun games at the venue such as the ‘Starbucks Christmas Traditions’ game where they matched life-size Starbucks planner stickers and the ‘Snowy Cranberry’ game where they tossed toppings on the giant Snowy Cranberry Drinks. 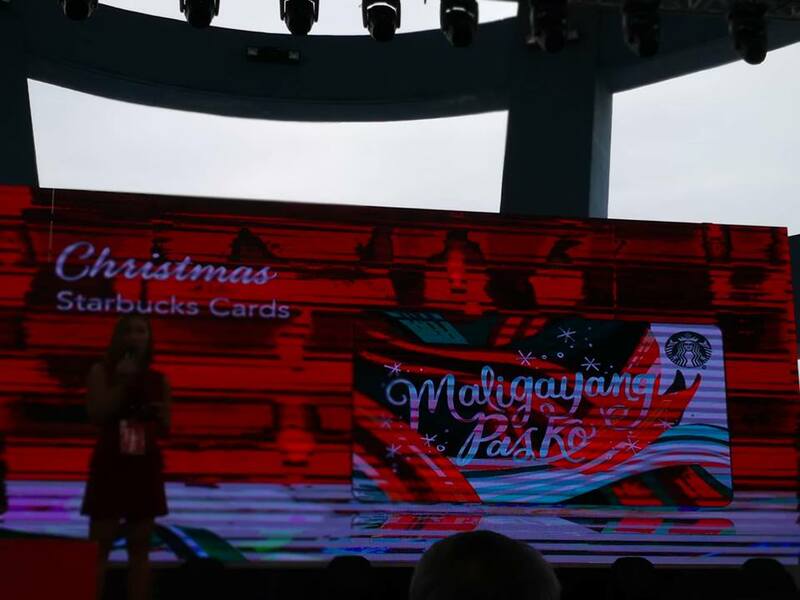 And it wouldn’t be Christmas without the traditional caroling which was held at the ‘Christ-Must Carol’ game station. Guests even got a chance to see Santa himself inside his cozy home and shared their Christmas wishes through his Mailbox. 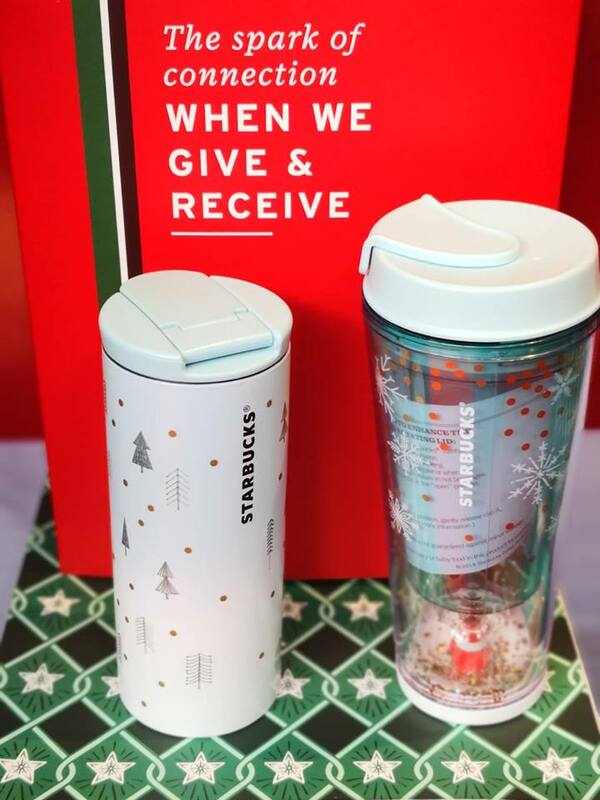 In the spirit of Christmas traditions, Starbucks is serving up delightful beverages for the season such as returning favorites; Toffee Nut Crunch Latte and Peppermint Mocha. 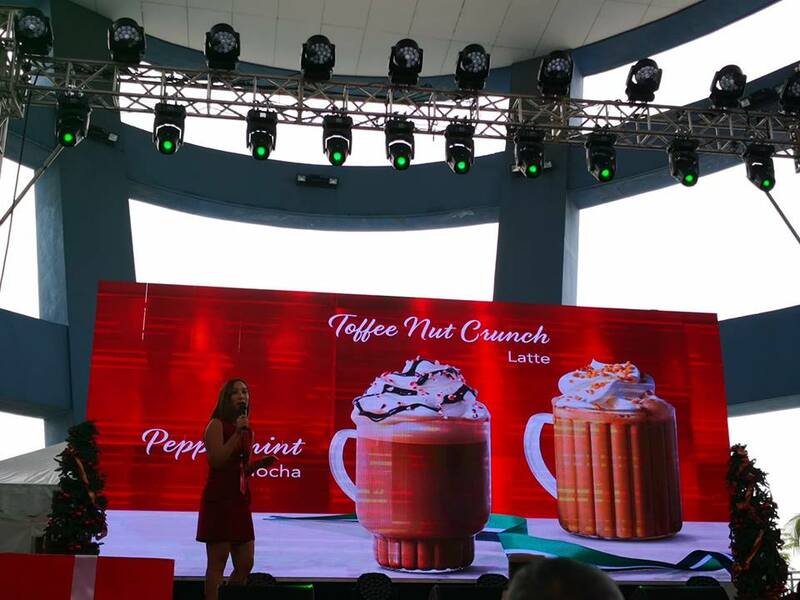 Customers can enjoy comforting sips of sweet and buttery toffee nut flavors with the Toffee Nut Crunch Latte or delight in the festive chocolate and peppermint flavors of the Peppermint Mocha. 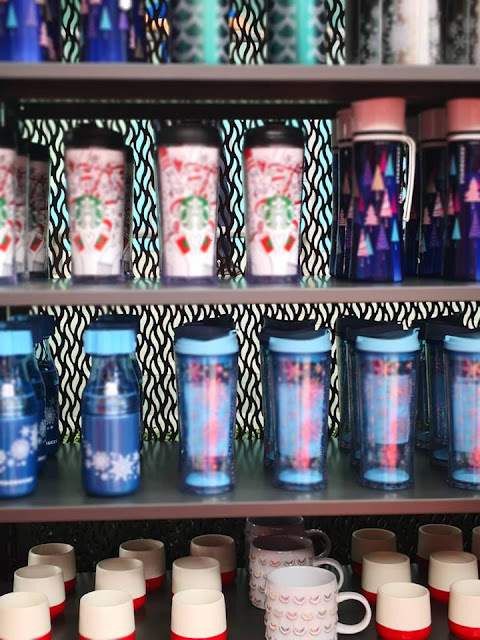 All Starbucks Christmas beverages will be available in hot, iced and blended format. 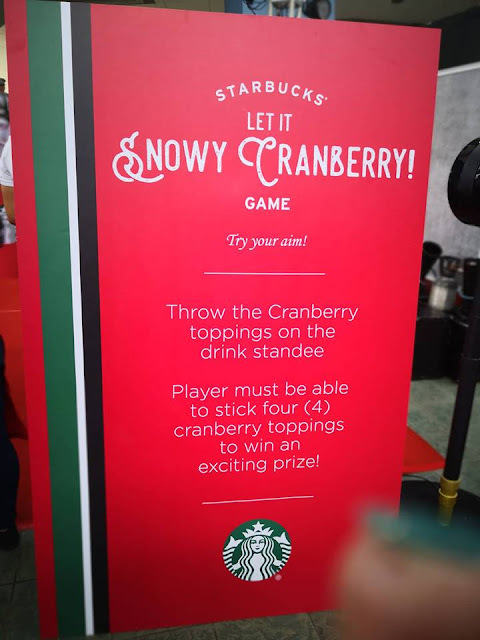 Starbucks is also introducing their newest holiday treat - the Snowy Cranberry White Mocha, a delectable blend of roasty espresso, velvety steamed milk, toasty white chocolate sauce topped with whipped cream and cranberry sugar sprinkles. 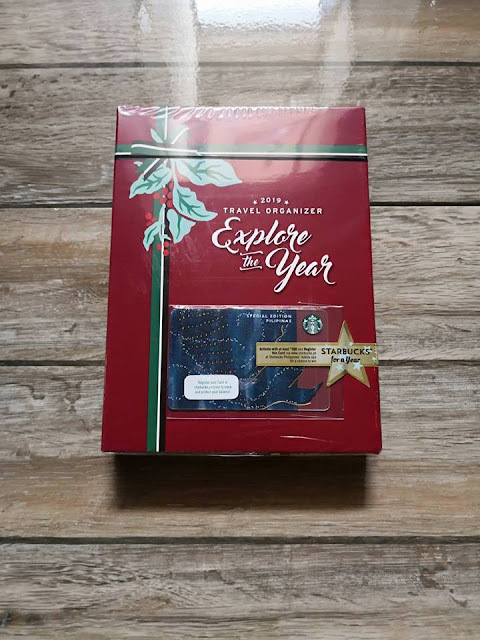 For those looking to brew the familiar Christmas flavors from their homes, Starbucks is bringing back the Starbucks Christmas Blend and Starbucks Christmas Blend Espresso Roast. The Christmas Blend has expertly roasted and blended aged Sumatra beans and lively Latin American coffees that make for a sweet cup balanced with its cedary spiced layers while the Christmas Blend Espresso Roast is customized for espresso with a deeper sweetness and a hearty spiciness. Start your days merry with treats that go perfectly with the Starbucks holiday beverages, like the light and fluffy Almond Matcha Doughnut with its white chocolate matcha glaze and almond slivers, the soft Choco Peanut Butter Bun filled topped with crushed roasted peanuts and a chocolate and peanut butter drizzle, and the buttery and flaky Baked Cheese Tart with a cream cheese filling and a sugar glaze drizzle. 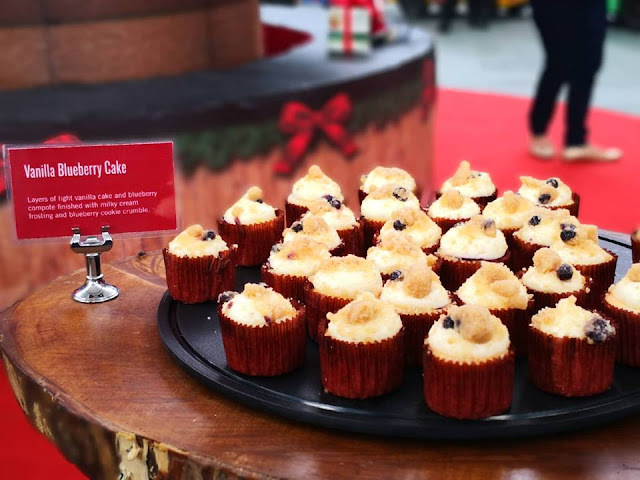 Another breakfast delight for those on the go is the rich and creamy Cereal Milk Pudding topped with cereal flakes which comes in mini cups. 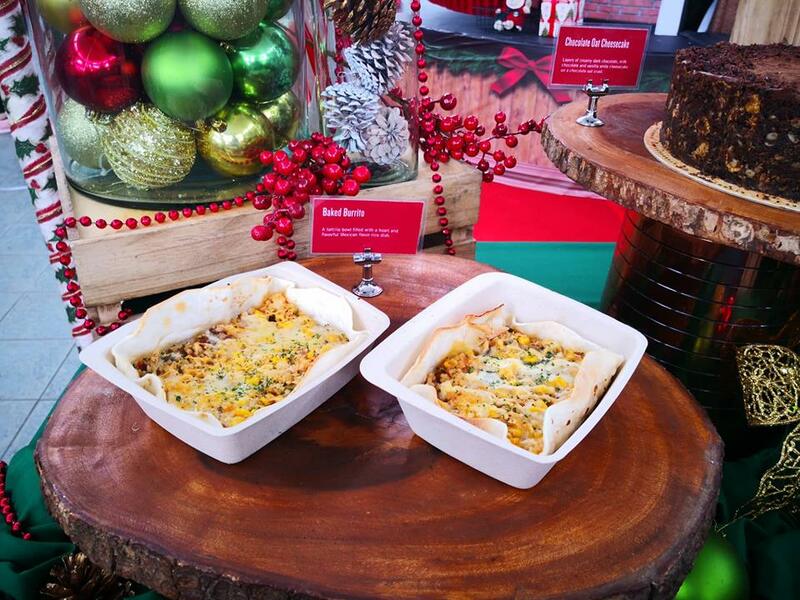 Those looking for meatier pairings can delight in the mouth-watering Mexican-style Chicken Fajita Roll which makes a special return this year, the Cranberry Pistachio Turkey Flatbread loaded with chicken, turkey sausage, spinach and cheese, and the Baked Burrito filled with savory Mexican flavor rice. 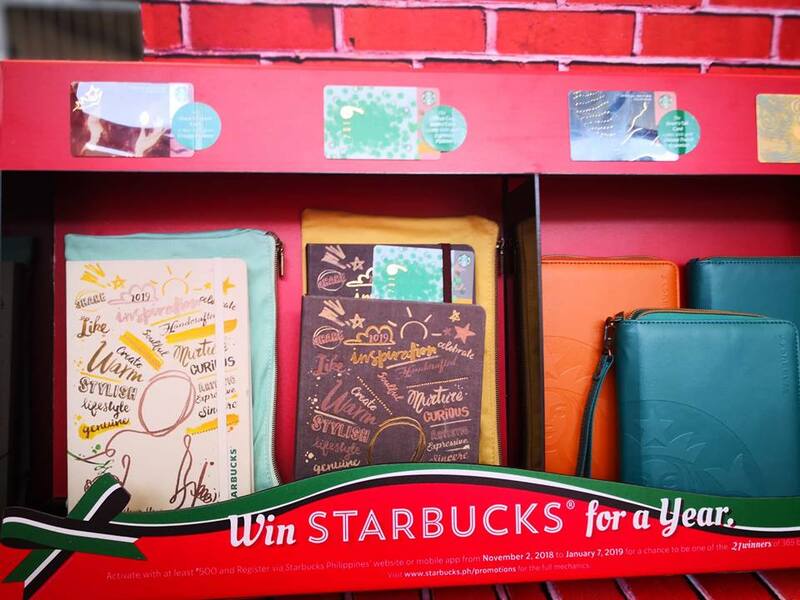 In this season of family reunions and Christmas parties, Starbucks offers delectable treats for sharing at gatherings. 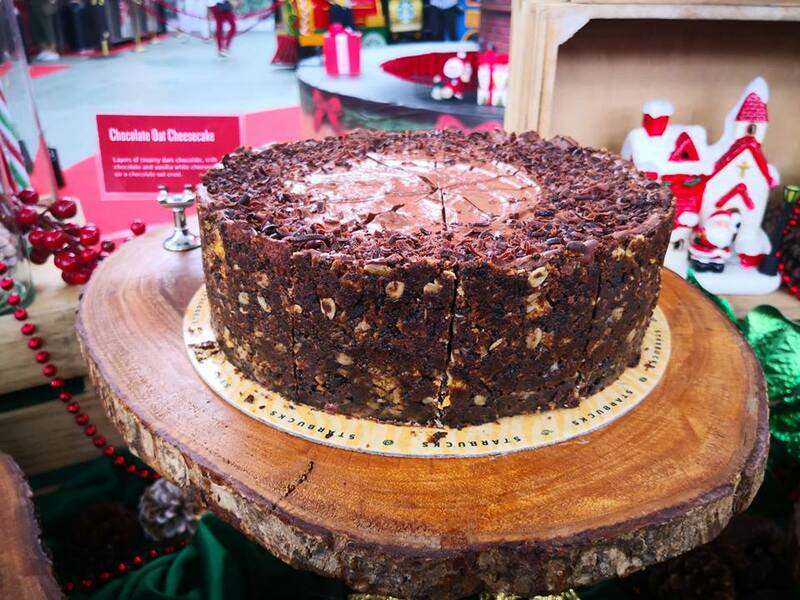 Chocolate-loving guests will enjoy returning favorites like the seventeen-layer Chocolate Crepe Cake with Belgian chocolate cream filling and the moist Chocolate Toffee Nut Loaf along with new offerings like the Chocolate Oat Cheesecake made with layers of dark chocolate, milk chocolate and vanilla white cheesecake on a chocolate oat crust and Christmas Barks with a combination of dark, milk and white chocolate barks with cranberries, strawberries and pistachio. Another sumptuous dessert is the chiffon-light Vanilla Blueberry Cake finished with milky cream frosting and blueberry cookie crumble. 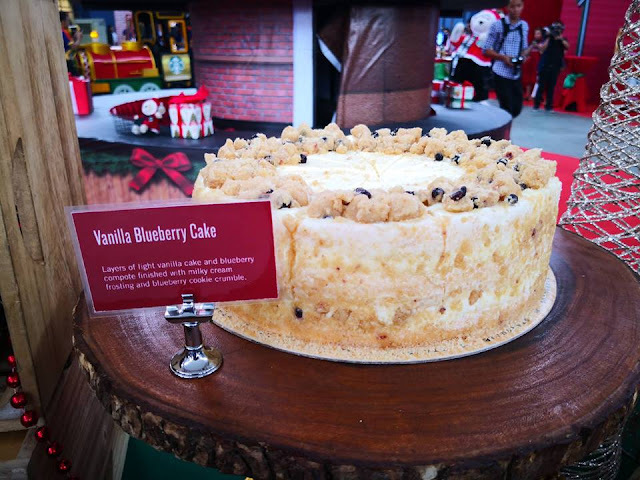 Customers can also share some holiday cookies like the Choco Chip Overload Cookies with milk and dark chocolate chunks and chips and decadent Chocolate Cracked Cookies covered in confectioner’s sugar. 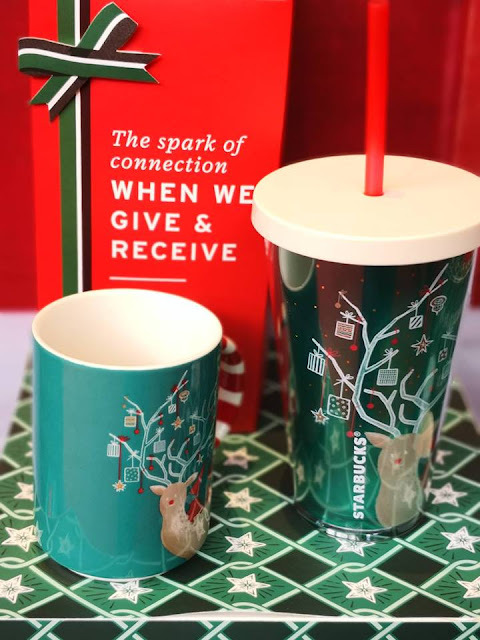 Gift giving is made easy with the Starbucks Holiday Gift Card Collection, a series of cards depicting lovely Christmas moments to spread the joy of the festive season. 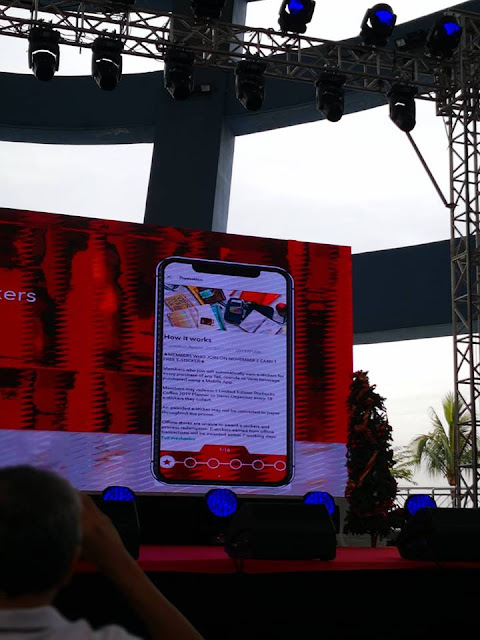 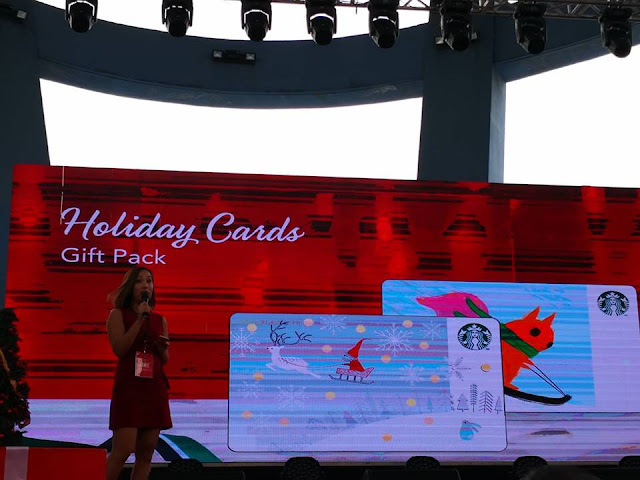 These cards are the Snowman card, the Holiday Tree card, and the Maligayang Pasko card for a P300 activation. This Christmas, the blend is the magic at Starbucks - a blend of cheerful music, décor and service to inspire moments of connection, a blend of styles, cultures and traditions to bring the common joy of the season, and a blend of espresso, flavor, care and attention in each cup to deliver a holiday moment just for you.